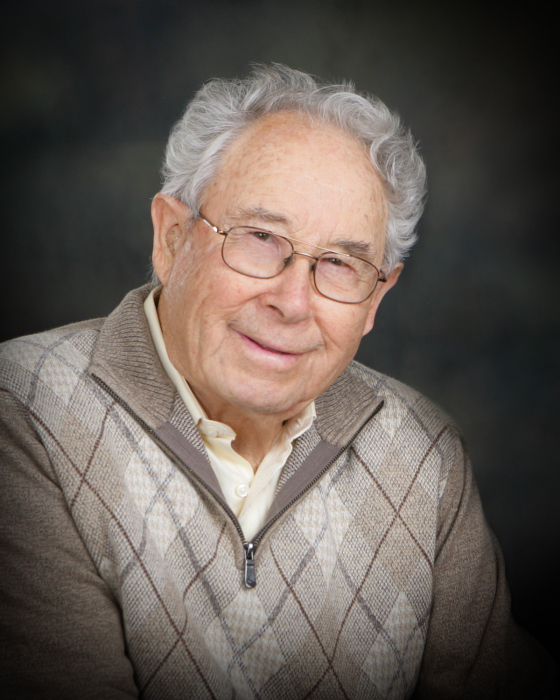 Joseph (Bud) Hesse, 92, of Gravette, Arkansas, died March 22, 2018, at his home. He was born on March 2, 1926 on his family’s farm northeast of Hartington in Cedar County, Nebraska, to Franz Joseph and Mary (Wortmann) Hesse. He was one of 10 siblings and the youngest of the four boys. He married his wife, Dorothy Kube, September 7, 1959, at St. Rose Catholic Church in Crofton. To this union was born eight children: Jolene (husband, Ralph Carter) of the Joplin area, Steve (wife, Kim Barta) of Fayetteville, Judy (husband, Kevin Vance) of Bentonville, Marilyn (husband, Chuck Boecker) of Bentonville, Mark of Gravette, Kent (fiancée, Teresa Williams) of Bella Vista, Karen of Gravette and Valerie (husband, Tim Wright) of Fayetteville. He was preceded in death by his wife, his parents, and seven of his siblings. Bud is survived by his children; 21 grandchildren; six great-grandchildren; his sisters, Betty Foxhoven and Elsie Lauer; and dozens of nieces, nephews, and cousins. During World War II, Bud was deployed to the Philippines while serving in the US Army. The Hesses kept busy rearing their family, as well as raising Polled Hereford cattle on the Hesse homestead farm. They owned and operated the Art Center Studio of Photography, in Hartington, Nebraska, from 1962-1979, and for a number of years both Bud and Dorothy were a “pair” of leaders in the Hartington Chamber of Commerce and the Community Development Corp. Always looking for challenges, in 1979 they pulled up their roots and relocated to Bentonville, Arkansas, where they started a new studio, Woodland Photography. Bud also worked on the maintenance crews in Bella Vista and the Walmart sign shop in its infancy. A devout Catholic, he was an early participant in the development of St. Stephen Parish in Bentonville, where he was active as an usher and greeter. He loved working on the farm, cultivating the vegetable gardens, and maintaining the yards and landscaping. He could be found on his Kubota tractor, brush hogging pastures, even at the age of 90. A funeral Mass and rosary will be held at St Stephen Catholic Church in Bentonville at Tuesday March 27th at 2 PM. His ashes will be laid to rest next to his wife Dorothy in the church columbarium. Memorials may be made to the St Stephen’s Building Fund, 1300 NE J Street, Bentonville AR 72712. Words of comfort may be expressed at stockdalefuneral.com.